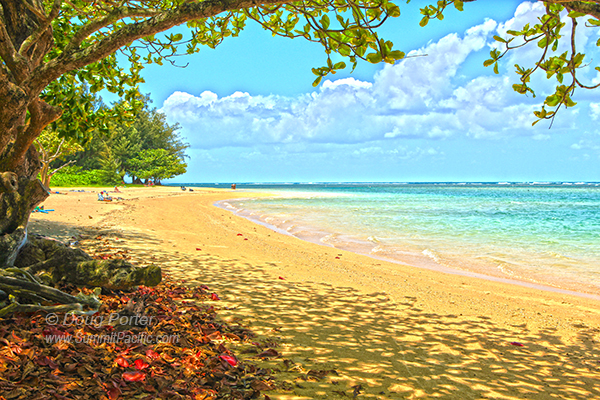 Anini Beach is a favorite on the north shore of Kauai. Protected from large waves by an offshore reef, Anini is a great spot for swimming, snorkeling, sail boarding, and other sports that don't require surf. A large grassy park with covered picnic benches and showers is available. Anini is perfect for youngsters. Adults love it too for shelling, sunbathing, and just relaxing. 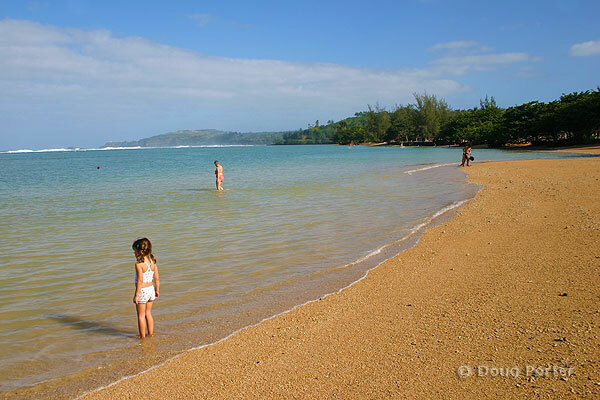 Click to explore more Kauai Beaches.